Our Practice Manager left her job at the zoo to pursue a career in Veterinary Nursing. She started with the clinic back in 2003 and has now been a qualified Veterinary Nurse for many years. As our Practice Manager, Michelle has a keen interest in the managerial side of our practice and works more behind the scenes to improve our service. She has a Australian Cattle Dog named Buddy, who was an abuse case that she rescued, a Maltese x Chihuahua named Jax, five cats plus horses! Michelle spends most of her weekends out and about competing on her horses in eventing trials. Most recently Michelle has had a magnificant cat run built in her backyard. Check out the Autumn 2018 newsletter for pictures! Roxanne has been working as a Veterinary Nurse with us since 2006. Roxanne is very passionate about the animals she cares for, ensuring they receive the highest level of care. Roxanne is our resident carer of all the orphaned animals that get brought into the clinic, varying from baby birds to kittens. Her two daughters even get involved in helping to care and feed the little guys! Roxanne teaches puppy preschool, alternating sessions with Kylie. She has two dogs, Reece (Cavalier x Pug) and Sway (Kelpie) and a three-legged cat named Hiccup. Bek is a fully qualified Veterinary Nurse who joined our team in 2016. Bek is a great asset to the clinic. Bek enjoys all aspects of nursing, especially Dental and Surgical Nursing. 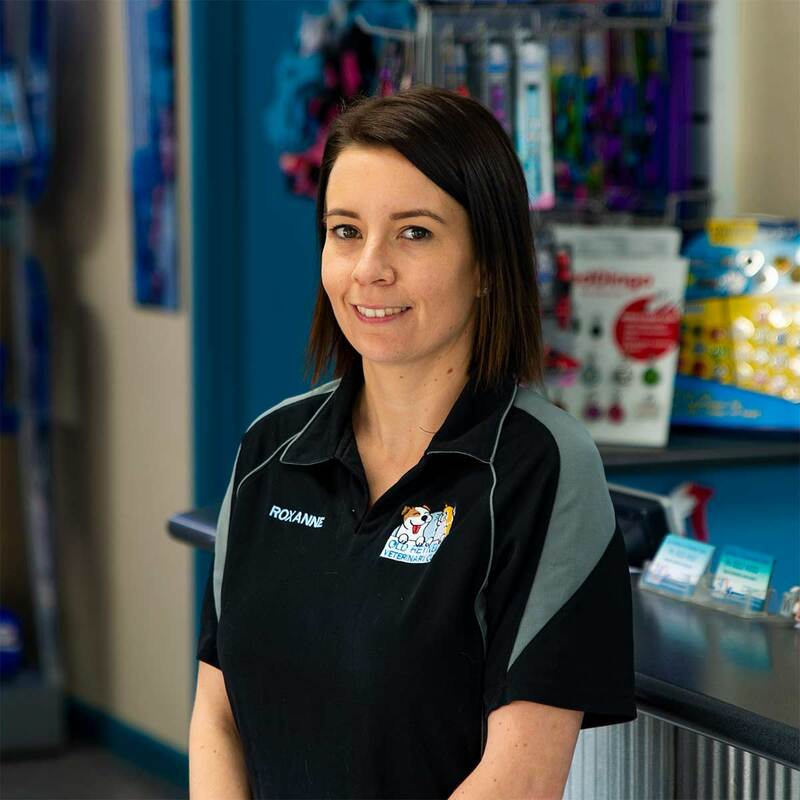 Kylie is a qualified Veterinary Nurse who has been working with the practice since September 2006. Kylie is a keeper of the more unusual pets… She has ferrets, frogs, bearded dragons and water dragons! Kylie enjoys working at our reception desk and meeting our new clients, both four-legged and two! Kylie is also one of our puppy preschool teachers, alternating with Roxanne. She has recently appeared on Channel 10’s Totally Wild, working with Forever Ferrets SA, a local rescue group, talking about ferrets as pets. Sarah is the newest nurse to join our team. Sarah completed her studies and became a fully qualified Veterinary Nurse in early 2016. Sarah has a keen interest in the surgical side of nursing, particularly the more unusual procedures such as opthamology (eyes) and exploratory surgeries. So far, her favourite nursing experience has been assisting in the removal of a huge 5kg lump from a dogs abdomen! Sarah has a beautiful cat named Riley (pictured), who she adopted from the RSPCA. Riley is a complete mummies boy taking every opportunity to sit in Sarah’s lap when she’s awake, and trying to smother her face whilst asleep. Be sure to welcome Sarah to the team whenever you pop into the clinic next! 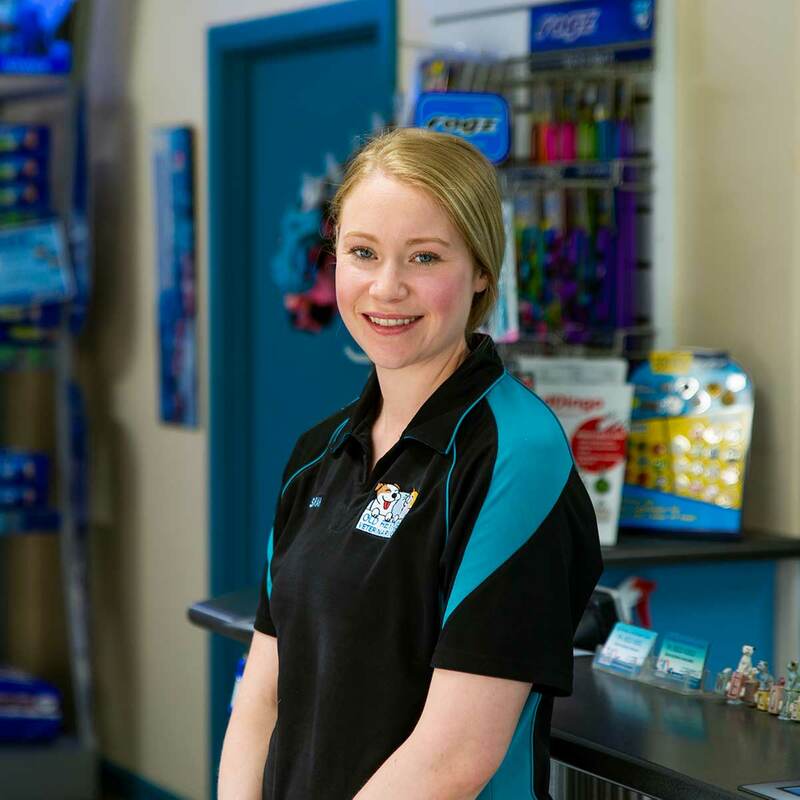 Jasmin Briggs is another of our fresh faces who has joined us here at Old Reynella. Prior to this, she has been working in Doggy Day Care and Grooming and also administration roles. Jasmin has had a desire to be a veterinary nurse since she was little and has completed her animal studies certificate. She is very excited to enroll in Veterinary Nursing next. Jasmin has an 18 month old Boxer named Luna who is a little bit bonkers but adorable nonetheless. She also has two cats: 12yo Princess and 3yo Pepper. They all live together quite happily until Luna gets it into her mind that she would like to play, in which case Princess and Pepper have to dive and take cover! Jasmine is working with us part-time, so make sure you welcome her to the clinic. Our final staff member is Emma Turner, a keen junior who has wanted to be a vet nurse her whole life. She recently worked in a book store while studying to complete her animal studies certificate. She has enrolled for next year for her Veterinary Nursing certificate and enjoys meeting clients and their pets and putting a smile on their face. She has a mixed pet household including two cats: Bella, 11yo Domestic Long Hair naughty Tortoiseshell (pictured), and 17yo Misty. She also has Ross, a 9yo Border Collie and Ash a 3yo Bearded Dragon. She has many stories about her pets, but the sweetest is Bella who likes to suckle on Emma’s ear when she’s relaxing and having a cuddle. 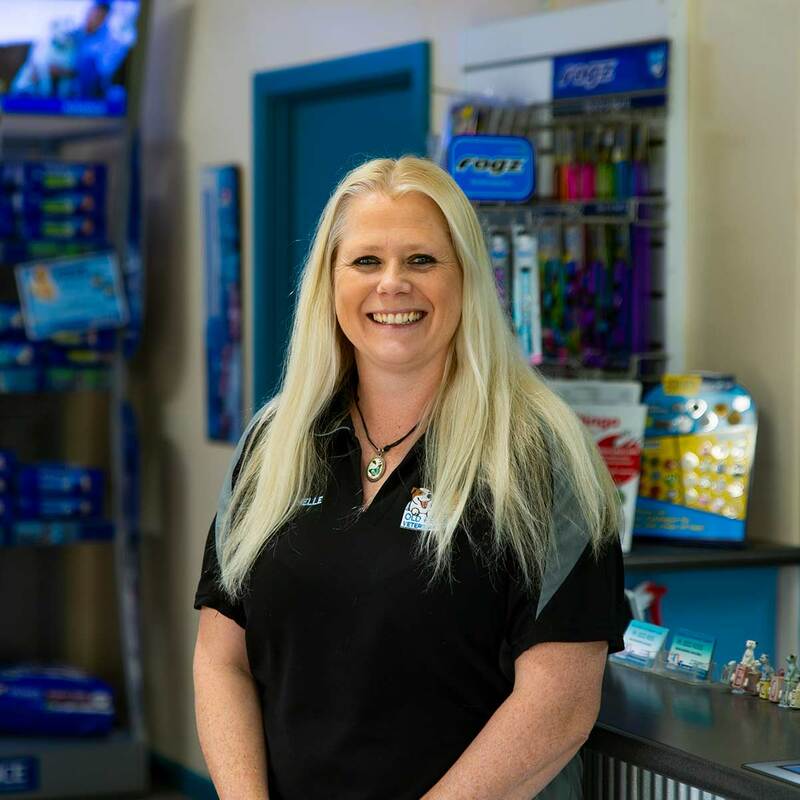 Emma has joined us part time, so be sure to give her a big smile and hello when you see her!